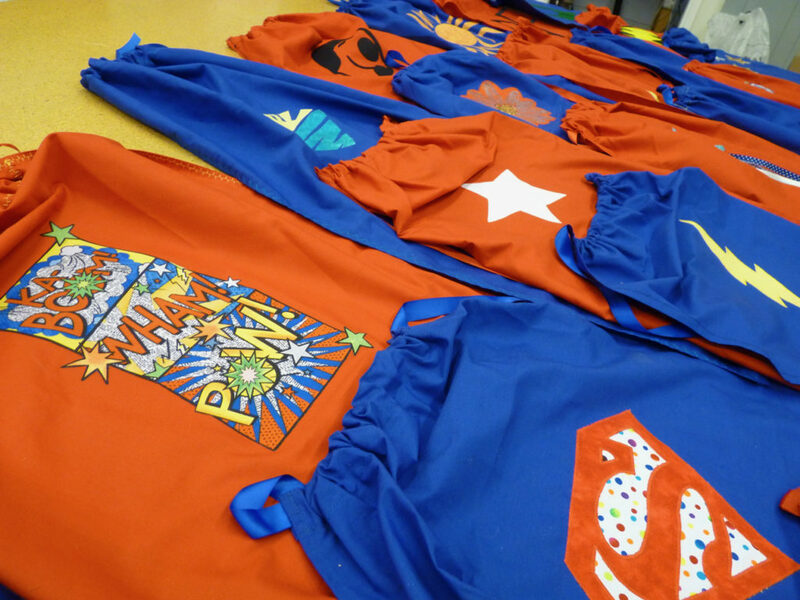 Our June meeting featured a visitor from Craftsy and a dazzling collection of superhero capes, made for a children’s camp sponsored by the Epilepsy Foundation. This month’s show-and-tell was particularly inspiring. Amy and Anne shared fabrics that they’d designed themselves (photos on our Facebook page), and Kari has just published a new pattern for vibrant quilted pillow covers! Meridian from Craftsy shared free patterns and charm packs, plus information about Craftsy’s classes. Stephanie L. has generously volunteered to lead our Quiltcon 2019 Charity Quilt Challenge. The theme this year is “tiny piecing” and everyone is invited to participate! Members of the guild created and collected superhero capes for the Epilepsy Foundation. More superhero photos coming soon! 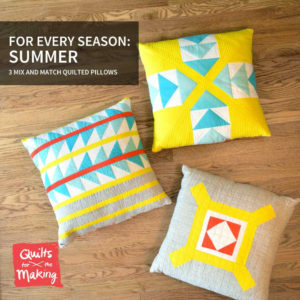 Our own Kari V. just published a pattern for summery pillow covers available on Etsy. Next month on July 11th, we’ll be meeting for the first time at the Rocky Mountain Quilt Museum in Golden, CO. We’ll be displaying our postcards for the quilt swap, sharing ideas for our charity quilt, learning how to make shadowboxes for mini-quilts, and more!